Hot Dog! Thank you very much! Hi Konigstiger, thank you again for the Data Card for my CLS. Dumb question for you if I can? There are multiple items in the data card which aren't accurate for my vehicle, such as it isn't an AMG, it doesn't have designo leather, or has parking pilot (Code 235) to name a few. 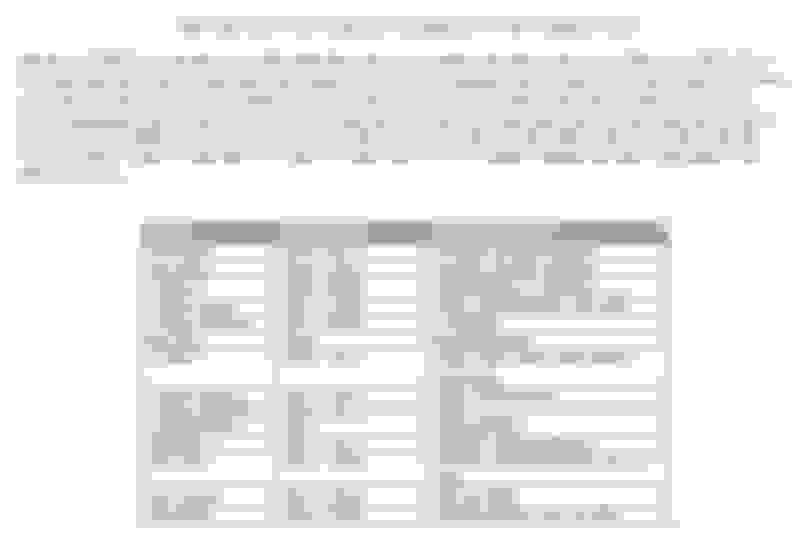 Would it be safe to say that a Data Card should be taken with a grain of salt? I do have to say that I was impressed to see that my recent Smartphone Integration addition (Code 14U) was present in the Data Cara, Its nice to see this is a live document! Thank you much for the dumb question.... Cheers! Interesting, data card is almost always accurate. I would suggest visiting MB dealership to have them compare data card to their available info. Hi Konigstiger, I did just that... I found similar discrepancies which was my motivator to ask you for the courtesy of a Data Card. As you can see, there are some differences from your Data Card and the Master Inquiry.. Speak with Service Manager requesting VEDOC confirmation/correction concerning data card & VMI discrepancies. ECU software warranty is extended to 10 years / 120,000 miles, see attachment. I will give it a shot. Thank you very much for the advice! I just purchased a 2012 E550 and the wood trim is terribly faded. It does not match the VIN range(WDDHF9BB4CA637501), but it very obvious that this is the issue as the wood is almost "blond" in some places. What are my chances of having MB replace my trim? Last edited by konigstiger; 03-26-2019 at 11:22 AM. Random question, I see in some of the service bulletins the models are specified, and those with 4Matic are sometime called out separately. 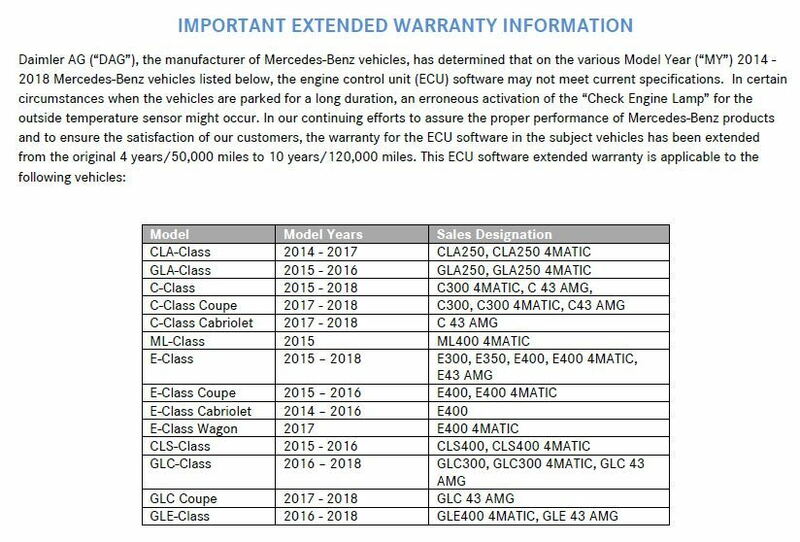 If a model is called out but not its 4Matic variant, should I assume the 4Matic version is not affected/covered by the recall? Or should I assume the opposite?